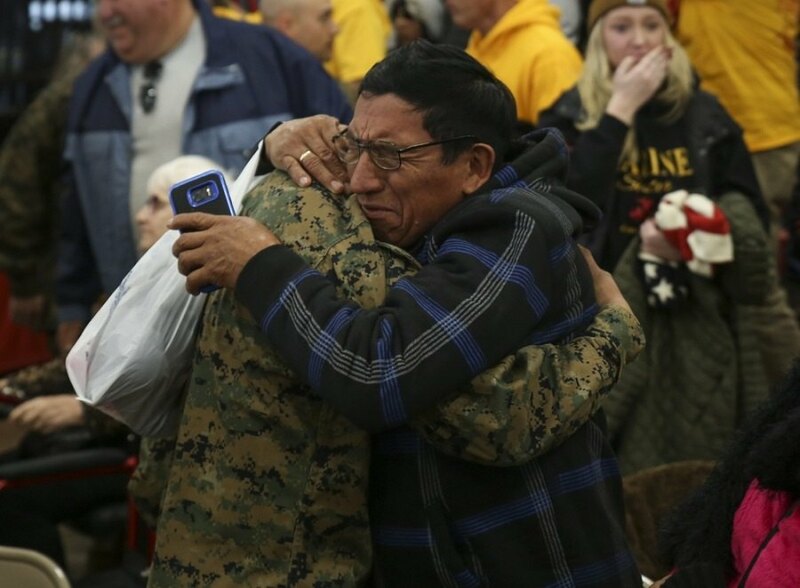 A U.S. Marine greets his family for the first time in 13 weeks on the day before graduation at Parris Island in South Carolina on January 10, 2019. Congratulations to this Marine and his fellow warriors on completing basic training. Thank you for your service!